Is IBS an Autoimmune Disorder? 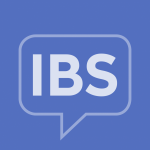 IBS is not an autoimmune disorder, it is a functional bowel disorder. However, some autoimmune disorders mimic or overlap with IBS. For example, celiac disease and inflammatory bowel disease (IBD) cause similar symptoms as IBS and must be ruled out when making a diagnosis.1 Newer research also blurs lines between a functional disorder and immune system abnormalities in at least one type of IBS, called post-infectious IBS. What is an autoimmune disorder—and how is IBS different? IBS is a functional bowel disorder, which means that there is a problem with the signaling between the gut and the brain. The digestive system does not function normally, but no structural cause can be found.4 While autoimmune diseases can be detected with blood and imaging tests, there are no tests for a functional disorder such as IBS. What is the link between IBS and celiac disease? About 4% of people with diarrhea-predominant or mixed IBS have celiac disease.5 Celiac disease is an autoimmune condition that causes a reaction to gluten. Gluten is a protein found in wheat, rye, and barley. When a person with celiac disease eats food that contains gluten, his or her immune system responds by attacking the small intestine.6 The treatment for celiac disease is strictly avoiding foods that have gluten. Routine testing for celiac disease in people with IBS is controversial.1 Your provider might suggest celiac disease testing if your symptoms indicate it may be warranted. What is the link between IBS and IBD? IBD is an inflammatory disease of the digestive tract. The two main types of IBD are Crohn’s disease and ulcerative colitis. As many as 40% to 60% of people with IBD have symptoms of IBS.7 The link between the two conditions is unclear. IBS symptoms during “remission” from IBD might indicate that there is ongoing, hard-to-detect inflammation. Certain biological traits might make some people more susceptible to having IBD and IBS. Still another theory is that the IBD “revs up” the gut-brain axis and makes a person especially sensitivity to signals from the gut.7 This is an area where more research is urgently needed. MedlinePlus. Autoimmune disorders. Accessed July 20, 2016 at: https://medlineplus.gov/ency/article/000816.htm. International Foundation for Functional Gastrointestinal Disorders. Functional GI Disorders. Accessed 7/14/16 at: http://www.iffgd.org/gi-disorders/functional-gi-disorders.html. Quigley EM. Overlapping irritable bowel syndrome and inflammatory bowel disease: less to this than meets the eye? Therap Adv Gastroenterol. 2016;9:199-212. Villani AC, Lemire M, Thabane M, et al. Genetic risk factors for post-infectious irritable bowel syndrome following a waterborne outbreak of gastroenteritis. Gastroenterology. 2010;138:1502-1513. Hughes PA, Zola H, Penttila IA, et al. Immune activation in irritable bowel syndrome: can neuroimmune interactions explain symptoms? Am J Gastroenterol. 2013;108:1066-1074.